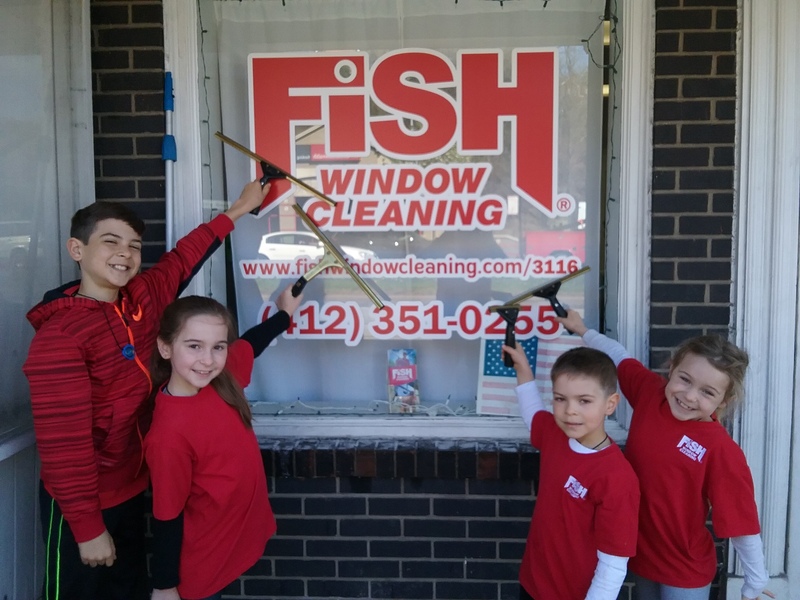 Welcome to Fish Window Cleaning of Squirrel Hill, Shadyside, Lawrenceville, Monroeville, Penn Hills, Oakmont, Forest Hills, Wilkinsburg, Edgewood, Swissvale, Verona, North Braddock, Churchill, Turtle Creek, and Chalfant, PA! We are your local window cleaners and we are ready to make your home or business sparkle! Your free time is important so don't spend what little free time you have cleaning your windows! Let the professionals take care of that for you so you can enjoy your time off. You can trust Fish Window Cleaning to do a fantastic job on your windows while taking care of your home and your possessions. We use cloth pads under your windows and wear clean shoe covers while in your home to protect your carpet and wood floors. The cleaning solution we use to clean your windows is environmentally friendly so you and your family are not subjected to harsh fumes. Remember FISH is committed to your satisfaction so give us a call today! We want your customers to have a great first impression of your business and professional window cleaning can provide that fantastic impression! Many of your customers will judge your business by the appearance of your storefront, office, restaurant, or any other type of commercial building so let us help make sure it looks great all year long! We are licensed, bonded, and insured for your protection, the protection of our cleaners, and added peace of mind. We know that our appearance even reflects on your customers' perception of your business and that's why we wear uniforms and our window cleaners have undergone background checks and drug testing. A member of our professional staff will be happy to suggest a program that would work best for your specific needs, budget, and schedule. Contact us today and we will come by to provide you with a free on-site estimate!